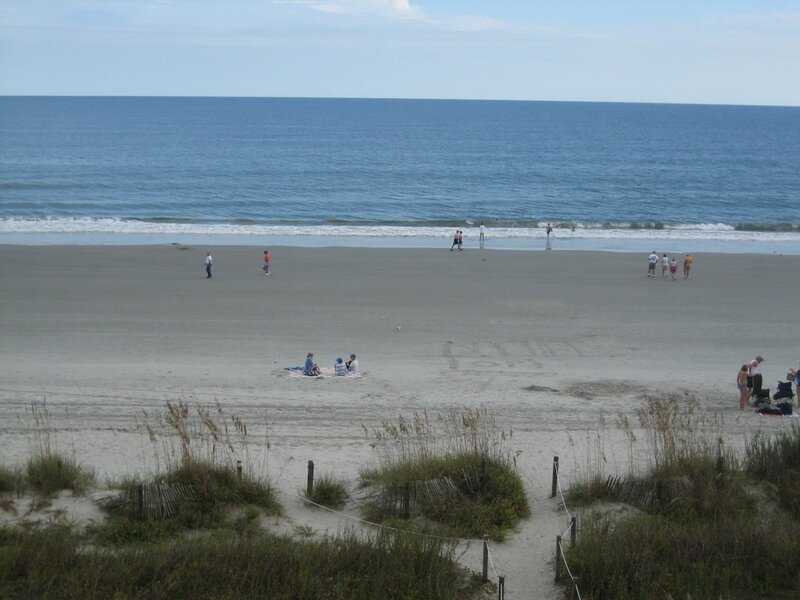 For as long as I can remember, it has been my family tradition to spend October in Myrtle Beach, South Carolina. Every year since I was born, my parents, sister, and I would spend a couple weeks in Myrtle Beach with my grandparents. When I started high school, the regular migration stopped due to the difficulty of taking two weeks off of school. Over the last couple of years, My parents have started to continue the tradition. This year, I got to share that tradition with the newest member of my family, my fiance, Debbie. We spent a week in Myrtle Beach. Most of it we spent on the beach, swimming in the ocean, shell collecting, and relaxing. Along the way we also did some sight-seeing, shopping, mini golfing, and go-kart racing. For me, growing up coming here year after year, these experiences were not new, but to Debbie they were. It was a ton of fun showing sharing these experiences with her. 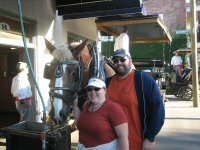 On Saturday I took Debbie to Charleston SC to check out the sights there. We started off by taking a boat cruise to Fort Sumter, where the first shot in the American Civil War occurred. Being Canadian, and therefore slightly immune to American Vs American historical interests, we didn't spend much time exploring the fort. 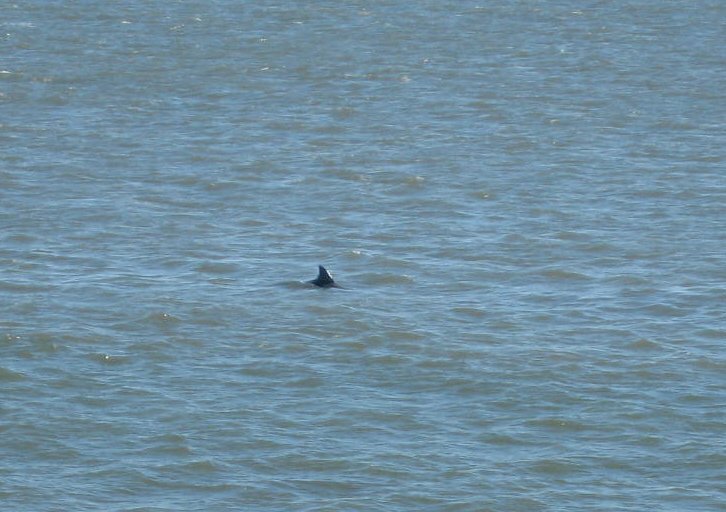 We did, however, spend a great deal of time looking at the Dolphins swimming out in the bay (see picture of dorsal fin). After we got back to dry land, we drove into Charleston and took a horse drawn carriage ride around the city. It was an amazing experience. Our driver and guide did an absolute amazing job showing off Charleston and entertaining us. After the ride we ate dinner at an Irish pub. To the people we left behind while we vacationed, I have this to say: While you shoveled snow, we swam in the ocean. Suckers.